Orkney Distilling’s new artisan distillery and visitor centre officially opens in Kirkwall this week, creating a major new tourist attraction for the islands. Two years in the planning, the new facility – which has created six local jobs – represents the realisation of a dream for Orkney Distilling’s husband and wife partnership, Stephen and Aly Kemp, creators of Kirkjuvagr, Arkh-Angell and Harpa gin. 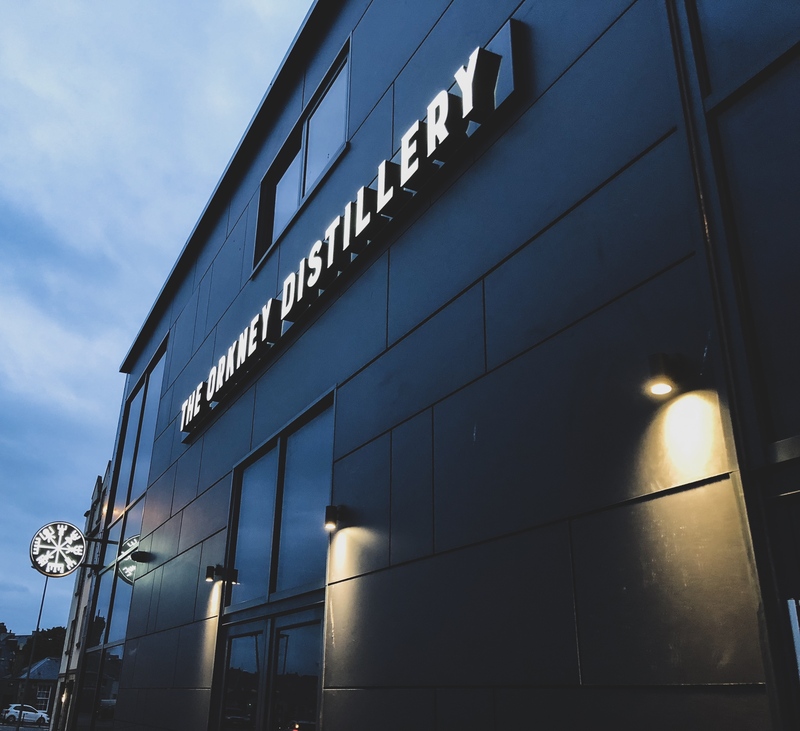 Sited on Kirkwall’s historic harbour front, the two-storey distillery and visitor centre has been finished to an extremely high standard, incorporating a gin and coffee bar, retail outlet and events venue. Visitors are also able to tour the production area of the facility to learn more about the distillation process, and the stories behind the company’s gins. Orkney Distilling’s signature gin Kirkjuvagr was only launched by the Kemps in August of 2016 but has firmly established itself in the hugely competitive gin marketplace, winning praise from critics and a bronze medal at the inaugural Scottish Gin Awards in 2017. The company was also shortlisted twice in the 2018 Scottish Rural Awards – in the artisan drinks and new business start-up categories, and in two categories at the 2018 Scottish Gin Awards – reflecting its status nationally. “We’re incredibly proud of our new home and can’t wait to share it with the local community, and the many visitors who come to Orkney each year,” said Orkney Distilling managing director, Stephen Kemp. “From the outset it was our intention to create a place where people could relax and enjoy a drink in comfortable surroundings, while learning more about our gins and, indeed, Orkney. We also felt, given the very welcome rise in visitor numbers to Orkney, that there was a need for a new, high quality tourist attraction in the town. Hopefully we’ve filled that gap with a project that does the islands proud. Orkney Distillery interior. Pic by Colin Keldie, K4 Graphics. Stephen paid tribute to the team at Orkney Distilling and Orkney Builders, who carried out construction of the project. The new Orkney Distilling distillery and visitor centre is now open for business, with the Distillery Bar opening to the public for the first time this weekend.